1. How did you first get involved in coaching? What was your path to your position as head coach of the Alberta Pandas? 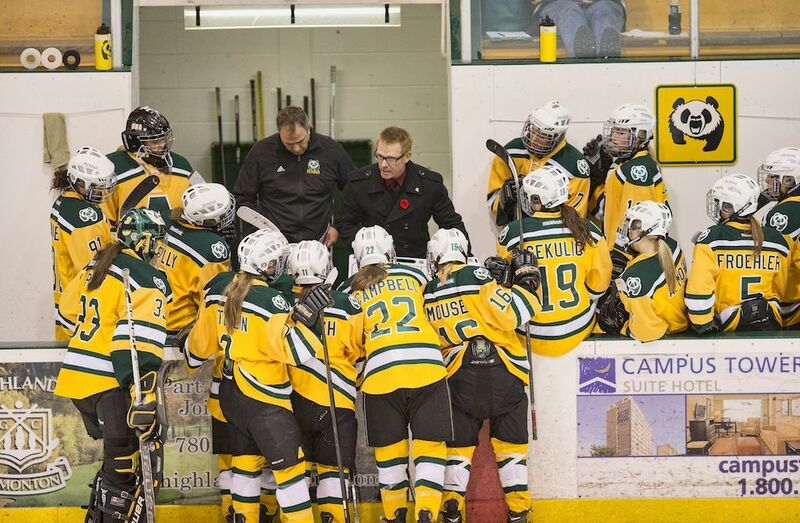 I had played with the University of Alberta Golden Bears initially, while enrolled in the Physical Education program, so I knew that I wanted to work with people in some capacity. 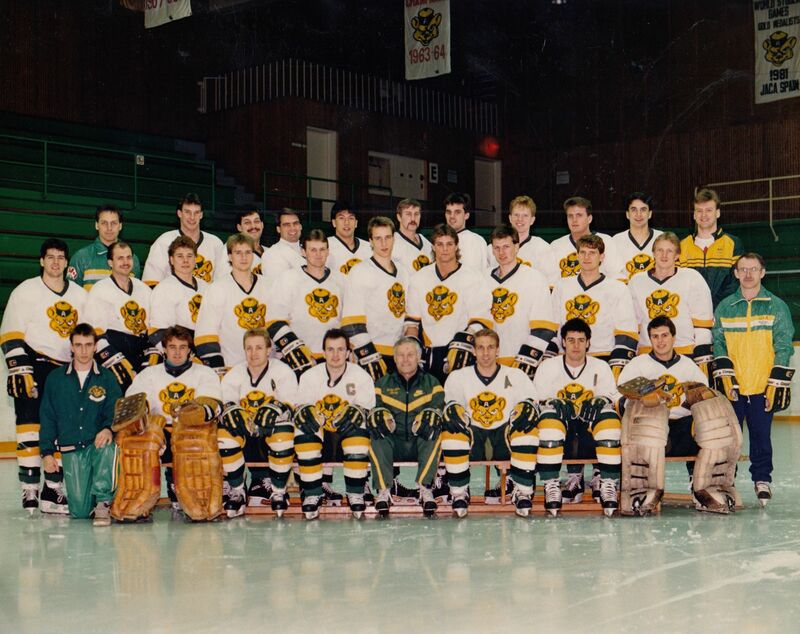 During that time and for some time after my degree ended, I was heavily involved in the U of A Hockey Camps which helped me cut my teeth in the teaching aspect of the game. Shortly after I graduated, I spent some time helping with bantam and midget teams and finally took a player-coach position with the MacQuarie Bears in Sydney, Australia. Upon my return from Australia, I sort of drifted away from coaching for a few years but continued to work on the side as an instructor at the U of A Hockey School system as well as in a hockey camp of my own. During this period, I really wasn’t finding my regular job all that fulfilling so I decided to contact my alma mater to see if there was anything that I could do in the Athletic Department. 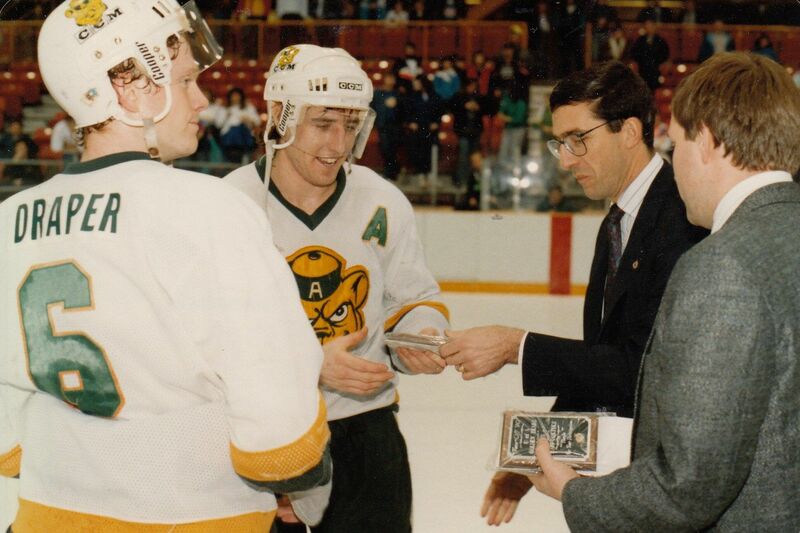 The Athletic Director at the time, Ian Reade, I had come to know him well through my work with the Golden Bears Hockey Alumni. He created a position for me, which I am very thankful for. 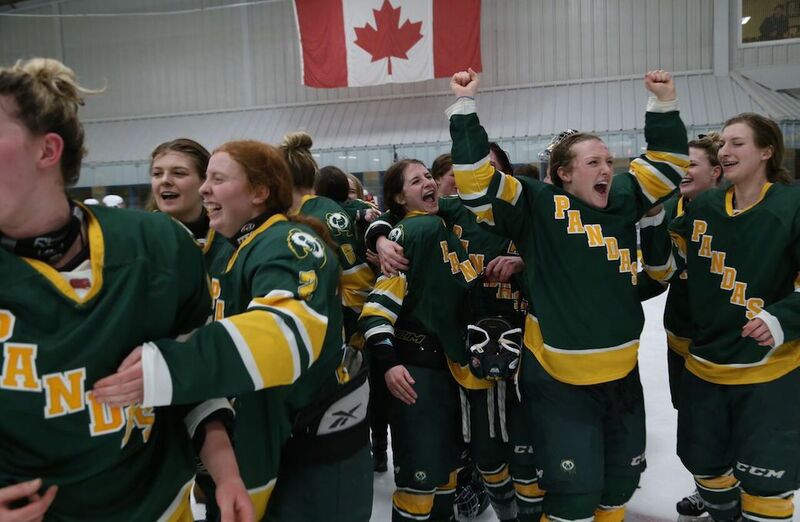 Within a year’s time at the U of A, I started to hear rumblings about female hockey starting up as a varsity sport within U SPORTS. Ian approached me to see if I wanted the job of starting up the program as head coach. I accepted, and the rest, as they say, is history. I’ve been fortunate to have had many coaches through my hockey career how have had an impact on me. I would have to say, however, that the most influential were (Hockey Hall Famer) Clare Drake and Bill Moores. They are outstanding coaches who coached me during my time at the U of A. They were more concerned with the development of good people than they were with developing great athletes and that philosophy has stuck with me. I try to be inclusive with the players and staff on our team and involve them in a good portion of the decision making. I guess the style might be collaborative. 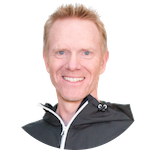 It’s my opinion that you get more out of the people within your organization by giving them responsibility and letting them have ownership over it. I also try to be more socially-oriented as compared to task-oriented, but, as a self-proclaimed introvert, this is difficult for me at times. Again, probably Clare Drake and Bill Moores. The knowledge that they had about the game, the innovation that they brought to it, their openness in sharing their ideas and knowledge and their tremendous humility as coaches have inspired me in many ways. Draper played for (Hockey Hall Famer) Clare Drake when he coached the Golden Bears. As a past rugby player, I really appreciated how the concept of support works in that sport. I also had the chance, while in Australia, to work with wheelchair rugby athletes, and was inspired by how they played the game using verbal cues rather than a ball. They would pass the possession of an imaginary “ball” by saying a number that corresponded with a player situated within the line. In my second year with the Pandas, I was struggling with support around the puck and with communication among the players on the ice. So I tried to have them play a game of rugby on the ice, without a puck or ball (they had to use their voices to change possession). I don’t remember if it had any affect, in fact, it might have been sheer chaos, but I’ll always remember it. I’m sure they thought I was nuts. I feel the greatest sense of achievement when players on my team thank me at some point following their careers or maybe make mention of how they might have learned something from me or our program in either life or sport. It doesn’t happen very often, but in those moments, it feels like I’ve had a positive impact on a player’s life and that maybe at times I left a mark similar to those that Coach Drake and Bill Moores both left on me. For athletes, be open to learning, trying new things and stepping outside of your comfort zone. Growth is only possible if an athlete is willing to take risks and has the understanding that failure in these situations is likely but not likely a “forever” thing. For parents – let your kids experience failure (as hard as that may be) and help them learn how to be resilient during these times and learn from it, rather than avoid or become frustrated with it. I’ve learned that every player on the team is a unique individual. The easy thing to do is to lump them all into the same category and treat them all the same way. I believe that you can’t treat everyone on your team the same. They all need something different. As a coach, my job is to figure out what they need the most and do my best to provide it for them within the structure of the team. It’s the toughest part of coaching in my opinion. I’m sure I’m like many coaches and find that the “in coaching mode” doesn’t happen very often. I’m most likely to get to that place when I spend time with my family with my phone turned off. I also enjoy reading a good book, watching a good movie or playing guitar.